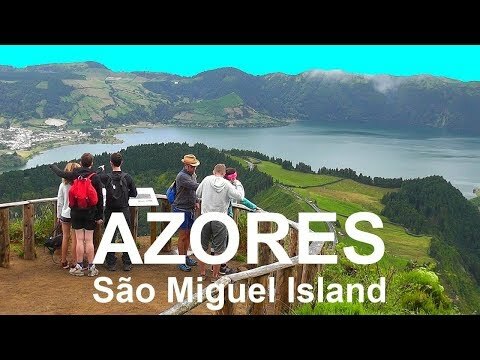 The Azores (Portuguese: Açores) is one of the two autonomous regions of Portugal (along with Madeira). It is an archipelago composed of nine volcanic islands in the North Atlantic Ocean. All the islands have volcanic origins. São Miguel Island is the largest and most populous island in the Portuguese archipelago of the Azores. The island covers 760 km2 (290 sq mi) and has around 140,000 inhabitants, with 45,000 people resident in Ponta Delgada, the archipelago’s largest city. Similar to other islands in the archipelago, São Miguel is influenced by ocean currents and winds, and, in particular, the cyclonic Gulf Stream. This keeps temperatures hovering between 14 °C (57 °F) and 26 °C (79 °F) throughout the year. The island’s location also makes it susceptible to many Atlantic storms.